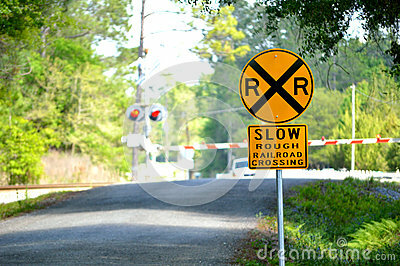 Railroad crossing sign on a rural road with railroad crossing in the background. Railroad crossing arms are down and crossing lights are on as train is approaching the crossing. Concept photo of life circumstances and troubles we face.